HOLLYWOOD — Montana Cypress’ fascination with film began as a young child who had, as he describes, devoted parents who would drive from the Miccosukee Reservation – in the middle of the Everglades – to movie theaters in Miami. Indeed it has paid off for Cypress, whose film career has taken him far from South Florida. He now lives in Los Angeles where he studied acting at the New York Film Academy’s Burbank campus. Since moving to California, he has produced, written, directed, and acted in several short films. Three short films starring Cypress were screened during the Native Reel Cinema Festival. “Thunderdance,” “Two Brothers,” and “Christmas in Ochopee” were all written by Cypress, who is also credited as director of latter two of those films. “Two Brothers,” which was filmed in the Everglades near the Miccosukee Reservation, was previously screened at the Miami Film Festival. “Thunderdance” won second place in a contest by AT&T in which contestants were given the opportunity to film their projects on a lot at the Warner Brothers Studio. Cypress has also written a full-length play titled “Hurricane Savage” that was selected by the Native Voices First Look series to receive a publically staged reading at the Autry Museum of the American West in Los Angeles. In an interview the day after the Native Reel Cinema Festival, Cypress reflected on how much his life has changed from the precariousness of “Rez Life” – a term that some Natives use to describe their disquiet lifestyle – to riding a golf cart through the backlot of Warner Brothers Studio. As for the exploitation of Native culture in American cinema, some filmmakers such as Taylor Sheridan have received praise for showing support and appreciation for Native Americans – although his 2017 film “Wind River” does have the “white savior” aspect – but other filmmakers tend to appropriate Native culture and subjects. The film industry has always suffered from a lack of cultural diversity. Only in the past few years has the Academy of Motion Picture Arts and Sciences reevaluated the actors and movies that they nominate for awards, mainly due to backlash they received for not including more content made by and starring actors of color. 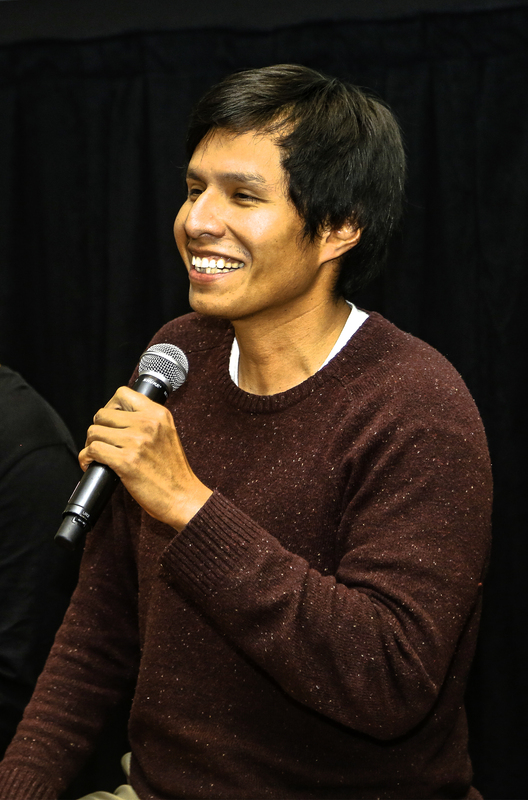 Cypress believes that even though there have been injustices for Natives and other races in general in the entertainment industry some Native filmmakers too often use their platform to convey blame or throw a “pity party.” A characteristic that occurs throughout Cypress’ stories is that they are not centered on Native American topics; rather they are stories that involve Native Americans. That’s not to say that the stories lack any substance. For example, “Christmas in Ochopee” is a comedy about a young Native man who brings his white girlfriend to his family’s Christmas dinner. The cultural difference is what makes for most of the comedy in the short film, but also works as a subtext about race. The film stars Kholan Studi – son of Native American actor Wes Studi – as the brother who has been recently released from prison. “Two Brothers” is set during the Seminole Wars, but the film focuses on two Native brothers who are coping with their transition into the afterlife. Most of Cypress’ work is originally written for stage which he later adapts to film. Writing is what he says he does the most, but he doesn’t mind working multiple jobs on set. He says he will most likely take the Woody Allen route – career wise – of filmmaking since he already writes, directs, and acts in his own films. During the closing of the final panel at the Native Reel Cinema Festival someone in the audience asked what non-Natives could do to help support Native artists. There was a short period of silence. For a moment, it was like these Native artists were not sure how to respond to support outside of their own.